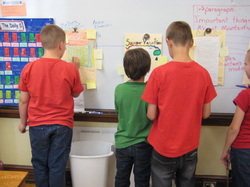 Come to our website often to learn about the things we are doing and learning in our Fourth Grade. As the year gets going you will find information about our Spelling and Vocabulary here. You can also find links to the things we are studying. 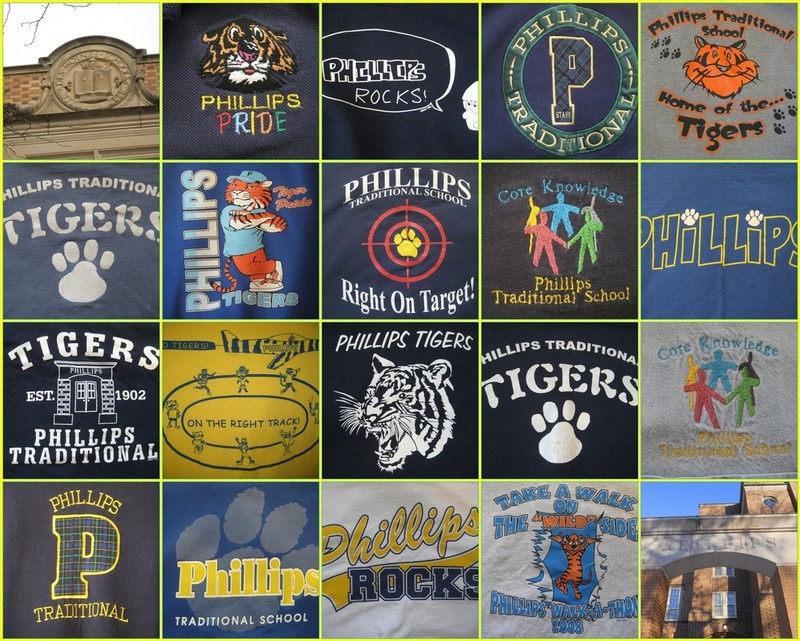 It's the beginning of a brand new school year, and we have lots of new things going on at Phillips. Over the summer all of our classrooms were painted. We also had new projectors installed in the classroom, so we can now use our whiteboards as an interactive smartboard. We have brand new math program this year. Part of our new math is on-line, and we will learn using the interactive whiteboard. 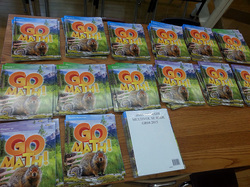 Students also have consumable math workbooks. These new books will give us lots of opportunity for practice. They should also make it easier for parents to see what we are learning in class. In social studies we learn about the states and regions of the United States, and the state of Iowa in particular. We are so lucky to have Living History Farms nearby. If you have never been out there, it is a living museum where you can experience the impact of farming in Iowa, beginning with the Ioway Indian Farm, and ending with the 1900 Farm. We will visit Living History Farms in the spring. Here are some of the photos from a previous field trip. We write every day in our class. That may be with pencil and paper. Other times it is using technology. We will learn about writing, reading and commenting on blogs. A blog is a website that is like an on-line journal. Later in the year we will learn how to make Voki's like the one at the top of this page. In order to make the Voki talk, the creator has to write what it will say. Then people can click on the little arrow to hear what it has to say. We will also learn to use a website that is called Bitstrips for Schools. On this website you can make an on-line comic strip. We will use the internet often to help us research subjects that we want to learn more about. We also have a wiki that we use for social studies and science. It is called Explore Earth. Everyone in our class will also have their own blog. Check out our writing on Kidblogs. Following the directions of the adult in charge. Keeping hands, feet and objects to themselves. Leaving dangerous objects, toys, gum, and candy at home. Using quiet voices and appropriate language. Being with their class or having a pass. Taking ownership of their actions. 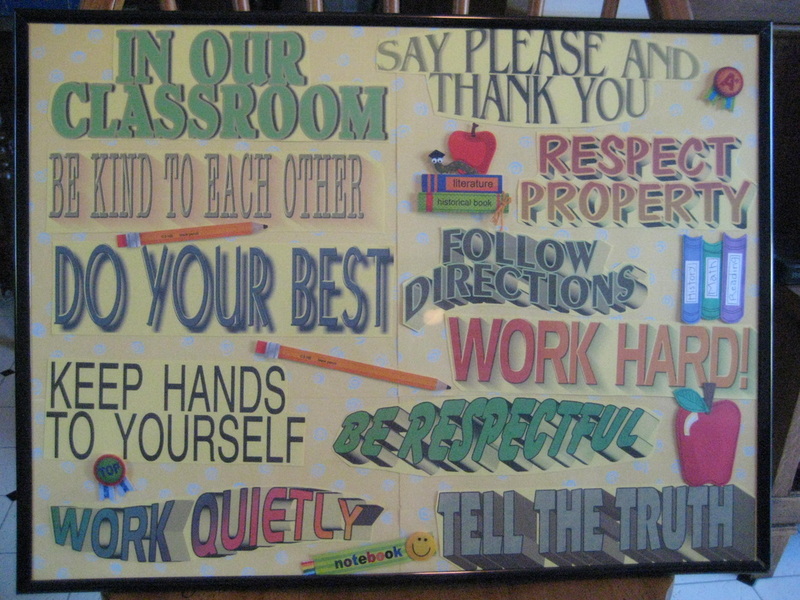 In our classroom we follow the code of respect. We also have some other rules that help us to learn and have fun together. Shorts may be worn during the months of August and September. Please avoid cut offs or shorts that are too short. For safety reasons, we do not wear flip flops. Shoes need to have a back strap. Sleeveless shirts are okay, but the shoulder should be covered. Muscle man shirts and/or tank tops are not allowed. Thank you for following the Phillips Dress Code. We will work in groups to create a new social contract for the year. These are words that describe the way we all want to be treated. The students are familiar with this process because they have created one in other grades.